How much does a gallery size, location and reputation influence the work that is being exhibited? One such as David Zwirner, having a particular reputation may also carry with it certain expectations whether positive or negative. When looking at art critically, this is one of the biggest challenges –of many– in regards to making particular art historical considerations. However, the goal of looking, is to truly absorb that which is being admired and then to make critical determinations. How does it function in the space? What does it say about art today and within the art historical model? All of these inquiries are part of a particular weight of expectation placed on the gallery and the artworks that temporarily live within their walls, not meant to be taken lightly. 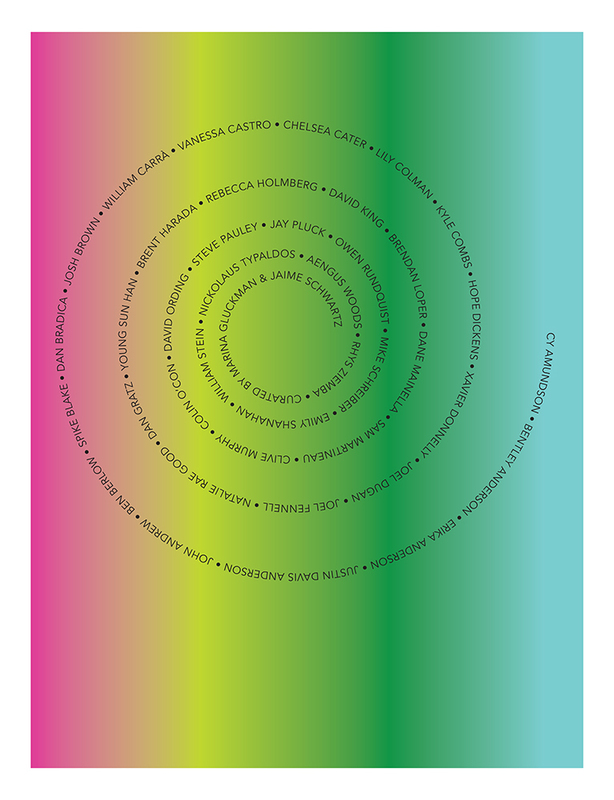 During the summer months, when much of the Manhattan inhabitants and those in the surrounding boroughs spend time at the beach or outside the city, galleries are known for presenting group exhibitions. The artworks in these summer shows may or may not be new, may or may not fit the normal gallery program and can range from appearing as an afterthought –in some instances– to what could be considered museum standard. All that said, David Zwirner Gallery presents “People Who Work Here” a large summer group show void of any artists from the gallery’s roster. As the name hints, it focuses on Zwirner employee’s who are also practicing artists in their own right. 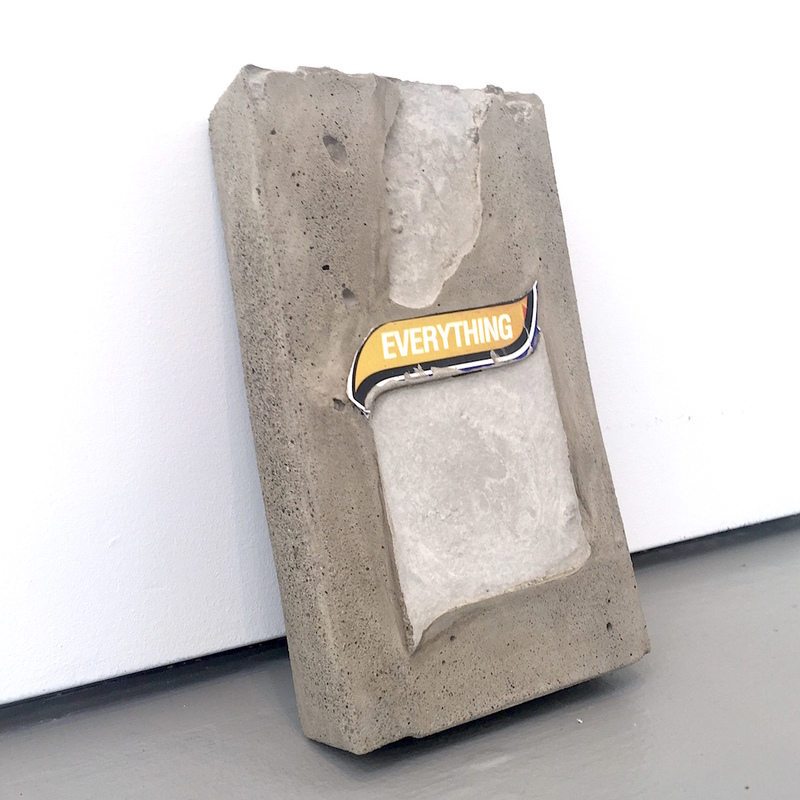 Surprisingly, it is the best group show of the summer. 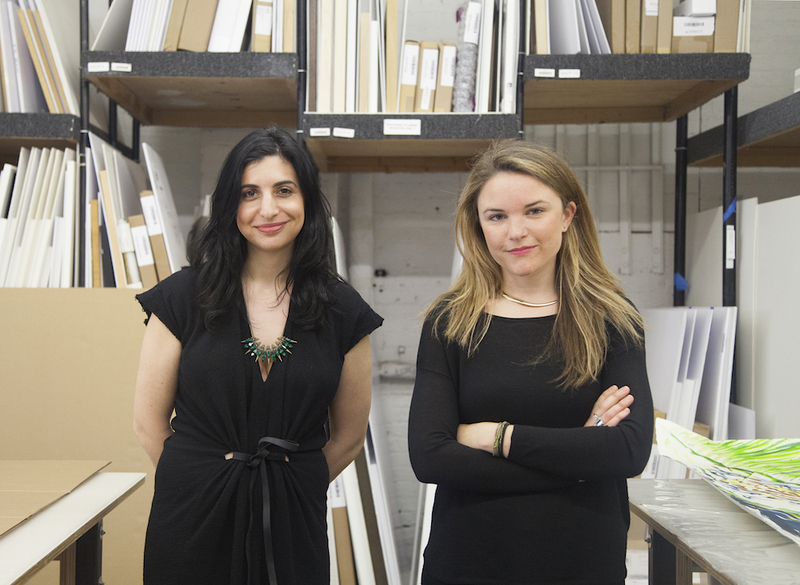 Co-organizers and part of Zwirner’s Research and Exhibitions department, Marina Gluckman and Jaime Schwartz did a fantastic job. With nearly forty artists present, Gluckman and Schwartz curated the selections within the aesthetic vain of what the gallery standard is known for. This being said, “People Who Work Here” has something for everyone. Drawing, painting, video, sculpture and evening performances -the final which will be July 28th- fluctuate in execution, but live harmoniously within the rooms of the gallery; accessible and non-didactic. David Zwirner has space and a strong stable of artists in its favor. The interiors of both Manhattan-based gallery locations are vast, with high ceilings, not wanting for natural light or a more room for work to breathe because here, you will find both. Yet, any gallery can be over hung, feel claustrophobic or poorly installed and “People Who Work Here” is a breath of fresh air in more ways than one. Those who often frequent galleries can attest that one of the first stops when entering a space, is a visit to the front desk to seek out a press release and an artist inventory list. For many of the larger galleries in Chelsea, prices and status of sales are very rarely made public. How “People Who Work Here” differs is that not only are prices available on the inventory list, but colored dots have been placed next to each piece that is no longer available. Prices are openly listed and range from $2.75 – $8,500 (with only two works being above $5,000) and if affordability, accessibility and reputation were accompanied by an audible sound it would be a sigh of relief. Opening the works list and seeing all the sold dots, literally made my heart leap with joy. Not only for the artists who may or may not have a gallery of their own now given this chance at visibility but also for the gallery itself who’ve installed a cohesive summer exhibition, incredibly varied and strong. Within the confines of the geometric interior and the pitch of varied voices, everyone who visit’s the show will have Their favorite, but we decided to narrow down artist’s to look out for. 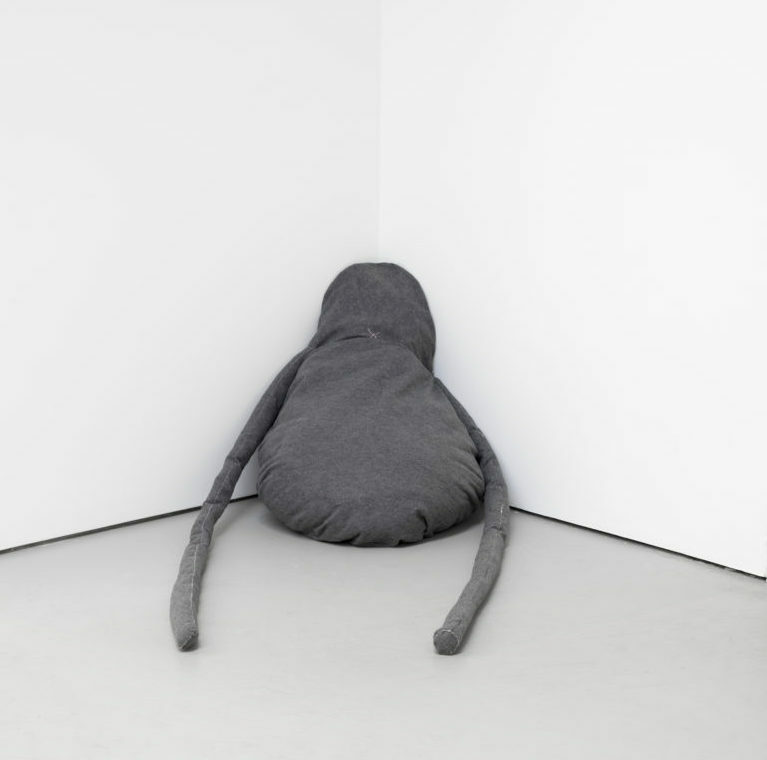 Our top picks include Nickolaus Typaldos whose”Everything” free-standing sculpture (shown below) is a tiny nuanced work that leans against the first wall parallel to the entrance. 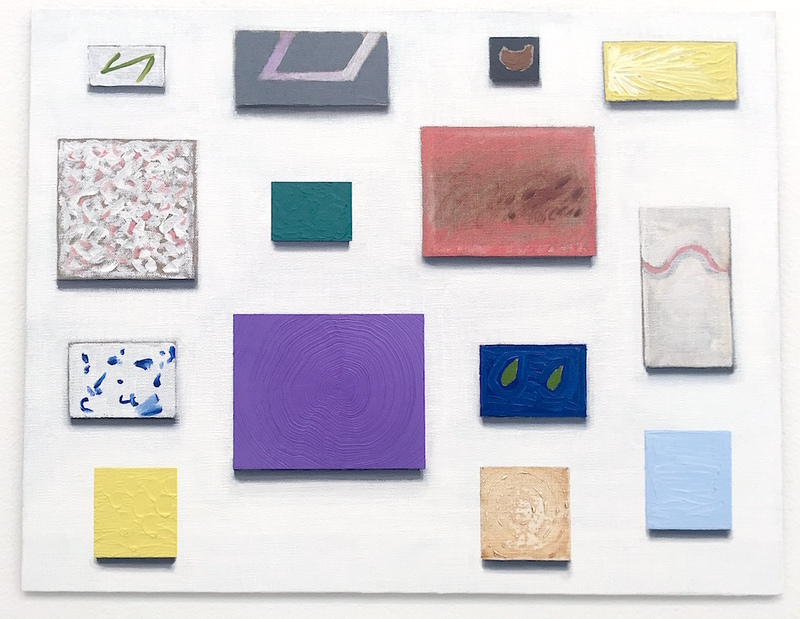 David Ording has two paintings in the exhibit including, “Untitled” a 2016 work (shown above) that is simple in execution but dynamic as well. The work gives the illusion of ‘paintings’ floating within the margins of a single surface. Abstract in nature the works are also unexpectedly formal as they all fit within a horizontal plane, as if hung on an invisible wall within a wall. Kyle Combs, “Cycles,” 2016 is a vertical diptych consisting of two steel panels, installed using surface transducers and hardware resulting in 16 minutes of sound, with 2 minutes of silence. The work is sharp, clean and with an irregular surface patterning, painterly while existing within the sculptural realm. Working with close to forty artists in one group show is not an easy undertaking. Gluckman and Schwartz most likely had to deal with the various personalities of each artist involved, regarding what to submit, which piece goes where in the gallery and how much space to grant to each artist. That being said, within the complexities of a group exhibition –or similarly within the frame of a booth at an art fair– I tend to be drawn to works that are visually simplistic yet conceptually engaging. Not all of the pieces , such as “lack study I” by Vanessa Castro, would stand well on their own, but in the frame of the exhibition each piece holds its own ground comfortably. Ongoing since 2012, “People Who Work Here,” represents what the summer should be: fun, visually stimulating, affordable and worth spending time thinking about. Now only if they were selling ice cream in the gallery lobby.